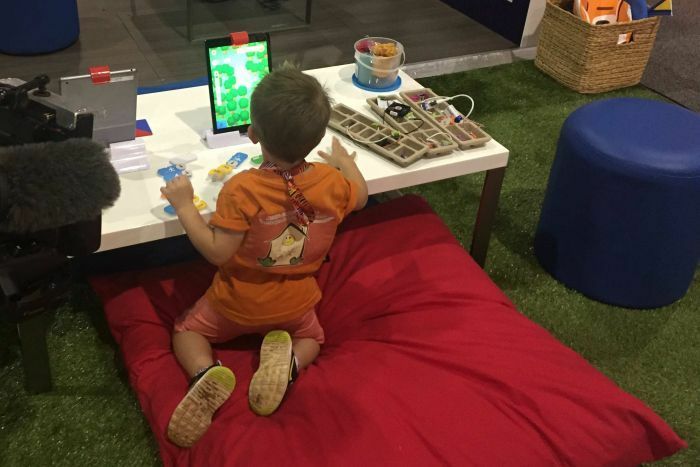 Early childhood experts say parents and educators should embrace digital devices for learning and play to ensure children are prepared for the future. 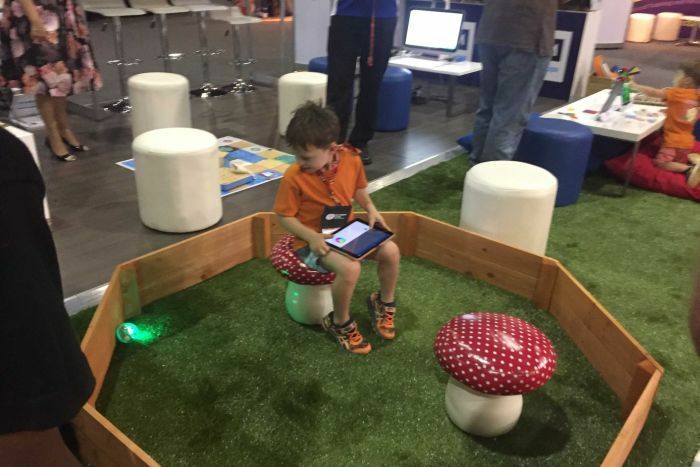 Academics and educators converged on a national early childhood learning conference in Darwin this week, and exposure to digital technology was being spruiked as essential for child development. US-based academic Dr Chip Donohue said while it was important to recognise not all parents and teachers were on board, it was essential they "don't stand still". "The digital age is moving far too fast to say 'I choose to not engage'," he said. "These are tools of the children's world, these are tools of their culture, these are tools that will be critical for their school readiness and success, we don't have a choice to say 'we choose not to'." Dr Donohue said the phrase "screen time" was outdated, as was the thinking that "too much" screen time was unhealthy. "But I think we have to have a richer thought about that. "What's the content the child is learning from on the device, what's the context in which they're using it and do they have the opportunity to interact with others, those are also really critical metrics beyond just time." 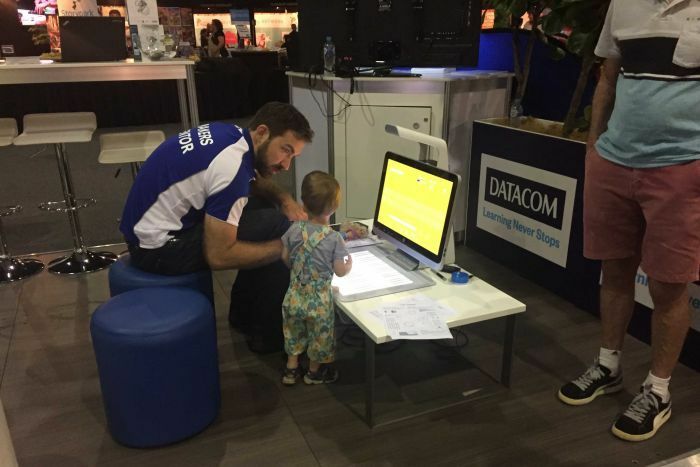 Childhood education researcher at Charles Sturt University, specialising in technology, Dr Kate Highfield, agreed when technology was used appropriately it could enhance development. "We're not talking about overuse of the device, we're talking about using it in balance. It's the same as the idea of a healthy diet, where we just use a little bit of digital play, a lot of physical play," she said. She said Australia had seen a huge rise in the use of technologies for young children in the past decade. "We've moved away from the 'do we use or not use', into 'how do we use this appropriately'," Dr Highfield said. Empowering parents to become "media mentors" for their kids was also a focus of Dr Donohue's work. "We know for sure, we have research that shows us, joint engagement with media, the idea of a parent sitting with a child and having a shared media experience, enhances the learning for the child," he said. Dr Highfield said the event was showcasing the way digital technology could merge with children's play and education tools. "[On display are] new and emerging tools [which will] move us away from a screen into more tangible interfaces, so we've got some robotics there ... a number of tools where the child can create and design their own technologies or create new ways of interfacing with the technology," she said. Dr Donohue said concerns about kids developing health issues from inactivity were legitimate, but said the uptake of technology was not to blame. "I would prefer to think about how we use these technology tools to encourage kids to go outside, to use an app that takes them out for a scavenger hunt around their neighbourhood and finds things, and identifies things and learns about things," he said. Sydney preschool teacher and director, Michelle Healy, said her centre had worked to integrate technology and learning by giving the children camera and tablets to document their play. "Digital technology is certainly here to stay, most of them are holding a smart phone as soon as they're old enough to ... so rather than fighting that, we're trying to enhance their use of it in a really productive way," she said. In her experience, parents of the three to five-year-olds, were embracing the approach that using technology with thought and purpose was beneficial. "I think there's deep consciousness amongst the parents that I work with, that they don't want their children to have too much screen time, but using it in a constructive way, they're really embracing it and utilising it themselves in the home as well," she said.